How do I make that??? 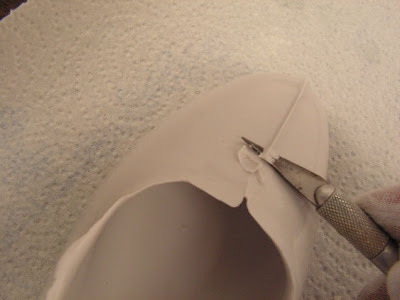 Step 2 - You will need to trim the mold and cut out the section that you would place your foot into if it were a real shoe. I normally write on the mold for customers so there is no doubt which parts need to be removed. I trim about a good inch to inch and 1/2 all the way around the mold. This allows you to clamp it tighter. Step 3 - Melt your chocolate and pour into the mold. I kind of swirl it around to get to the edge of the mold, then pour it out leaving a thin shell in the mold. I put the mold in the frig JUST until it gets hard. Prop the mold upright...don't leave it in there to long or the really thin shell will crack. Just until it's setup. Then you do the pouring process 2 more times, for a total of three layers. You don't need to be quite as careful with the refrigeration time on the other two layers. Once it starts getting thicker, it really shouldn't crack. The heel part will be fully filled in by the time you do three layers of chocolate. Step 4 - Remove the mold from the fully setup shoe. You will have some rough edges. Step 5 - Trim down the seams with an exacto knife. I like using the cotton chocolate gloves (on the site). you don't get any finger prints on the chocolate when using these. Step 6 - Add whatever your imagination comes up with. I love to use the Jem bow makers and pearl molds. 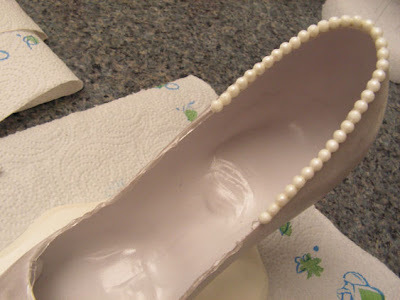 The # 4 pearls are nice and delicate, perfect for outlining the edges of the shoe. Finished shoe :-) This was dry dusted with silver hi-liter dust. I used the Jem bow maker and some of the 2mm dragees. I also mounted it to a chocolate base. The "base mold" I sell in the mold section works great. 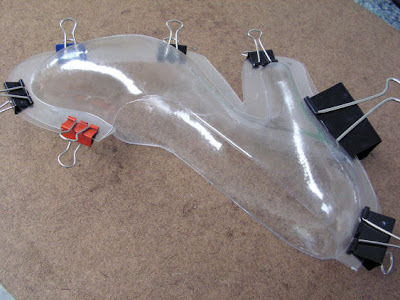 I unfortunately cannot get the base mold that I used in the picture. But the oval one works great as well. 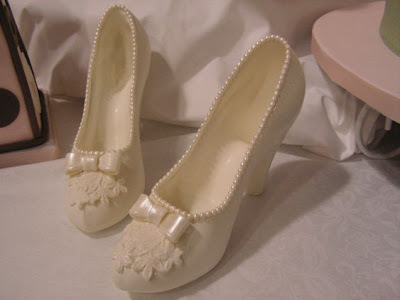 This is another gorgeous design, I think this one looks like a bridal shoe. Again, I used the Jem bow cutters. If you don't have them, they are SO much fun to use. I will try to do a tutorial on those for the next post. I also used the # 4 pearl mold. 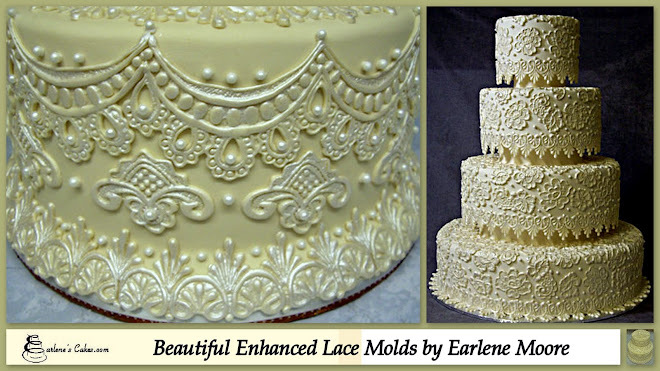 If you would like to know how to make awesome chocolate pearls, the instructions for my pearl clay + many other cool techniques, including step by step making of pearls, are on my Fun With Fondant Frills DVD. 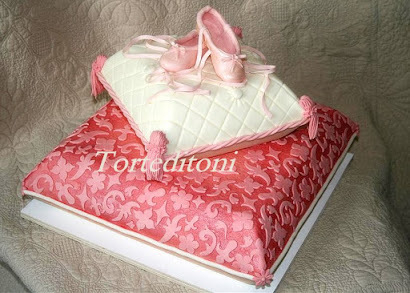 I also used a section of the floral lace press on the shoes below. It really makes for a very stable shoe to add the base mold. You can fill it with truffles and place on the tables OR wrap with pretty cellophane for a beautiful gift or give away at a bridal show. 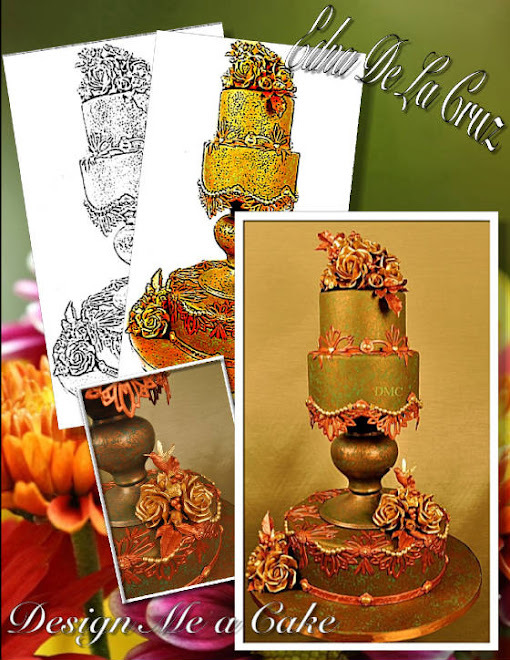 Tutorial and Photos by Jennifer Dontz 2009 all rights reserved. This material may not be reproduced for commercial use without permission from the author. Jennifer, you make it look so easy!!! Your shoes look fabulous!!! Psssst...the one on the challenge was absolutely stunning! Thanks so much for sharing this Jennifer!!! It's fantastic!! Oh now I can't wait to see the ones from the challenge!! I love the shoes Jennifer! They are so beautiful! I love the idea of filling them with truffles! Thank you for sharing your tutorial with us!! 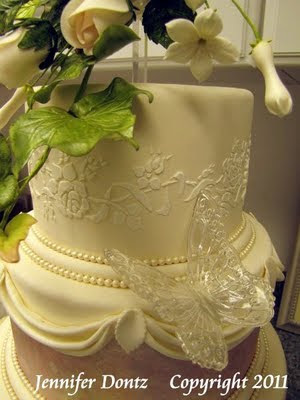 Beautiful!..Is always fun working with chocolate!..I love the extra details you put on it! This is amazing - I am definitely going to try and make chocolate shoes. Your chocolate shoes are amazing!! Inspired by this tutorial I tried to make one myself. On first attempt it didn't turn out so well, maybe because I was trying to make 2 layers, blue candy melt on the outside, white chocolate inside, all turned into blue/white marbleized mess. Than out of desperation I made one out of dark chocolate, that one turned out very good. However I was wondering if there is a way to do that 2-layer version that I botched in the beginning. I know you can pipe contrast design on the mold first and than fill it with chocolate, so why not do the whole first layer in different color? No, you don't need to grease a chocolate mold. Make sure your mold is clean. If you used it beforehand as a trial, it must be washed again before re-using or the chocolate will stick. 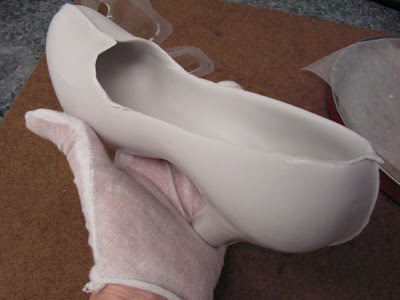 The shoe must be fully set up before removing from mold. Here are some great tips from Sharon Zambito's Chocolate Easter Bunny Boxes that might help. I brought my mould but no instructions , got it from eBay , now got on this page and now I know how to do it thank you jennifer , but would like to do a two colour so it looks like a pattern on the shoe , will be very grateful for instructions. And what chocolate to use. ??? I trialed my shoe last night but found the chocolate is very thick and not that easy to pour in and out, in fact it didn't "swirl" around the mold at all. 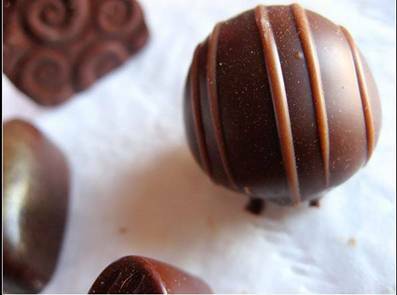 Do you add any cream to your chocolate to make it slightly runnier? Would it still set right if I did add a little cream? Hi I bought the mold and was wondering if I could color dust a milk chocolate heel with dry dust and it actually would cover the chocolate and give it another color? 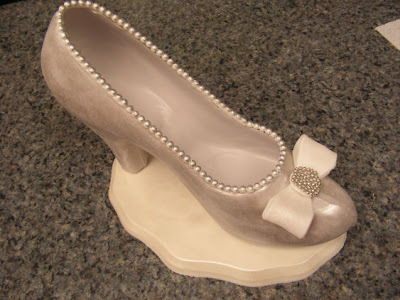 Hi, I am thinking of using this mold as a center piece for a bridal shower and I was wondering about how much chocolate is needed to make one of these shoes? Thank you so much, this is so helpful! I bought the shoe mold from eBay.It did not come with any instructions. 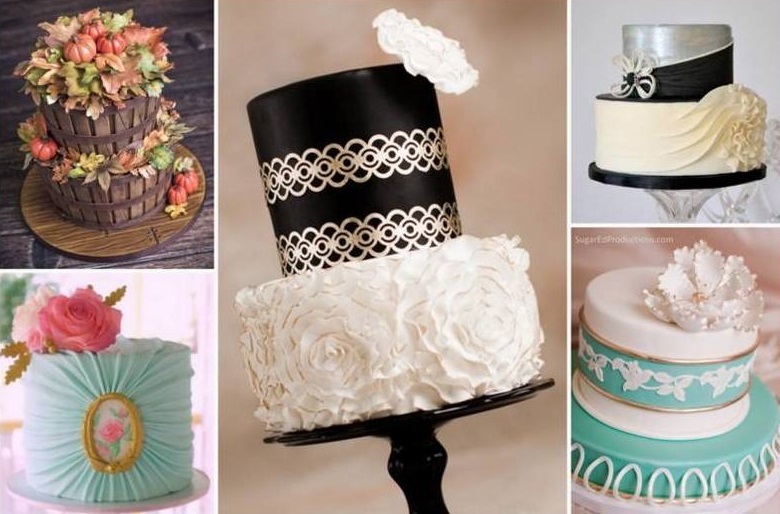 Your tutorial have help me know how to do it all for a sweet 16 party. THANK YOU VERY MUCH. 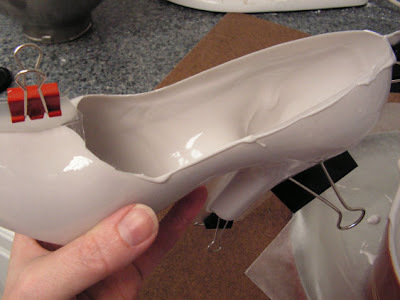 Thank you for this tutorial and the shoes are incredible, the only thing i was wondering is if i could also use this mold for fondant, is it possible? I was wondering what kind of chocolate you recommend using. I have tried the Wilton candy melts twice but they are too thick to swirl. Both were complete disasters. Any suggestions or tips would be greatly appreciated. I would also like to know how to make the chocolate thin enough to swirl. I used the wilton melts and it started to set in the shoe before I could swirl. Help! Hi! 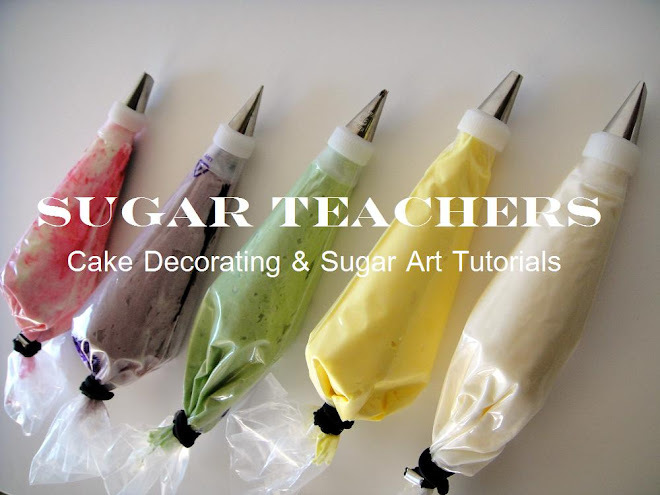 If you have any questions, please feel free o e-mail me: Jennifer@SugarDelites.com Thanks so much. Happy shoe making! 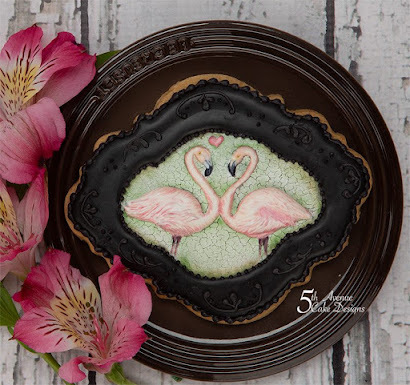 How glamorous, they look almost too good to eat!